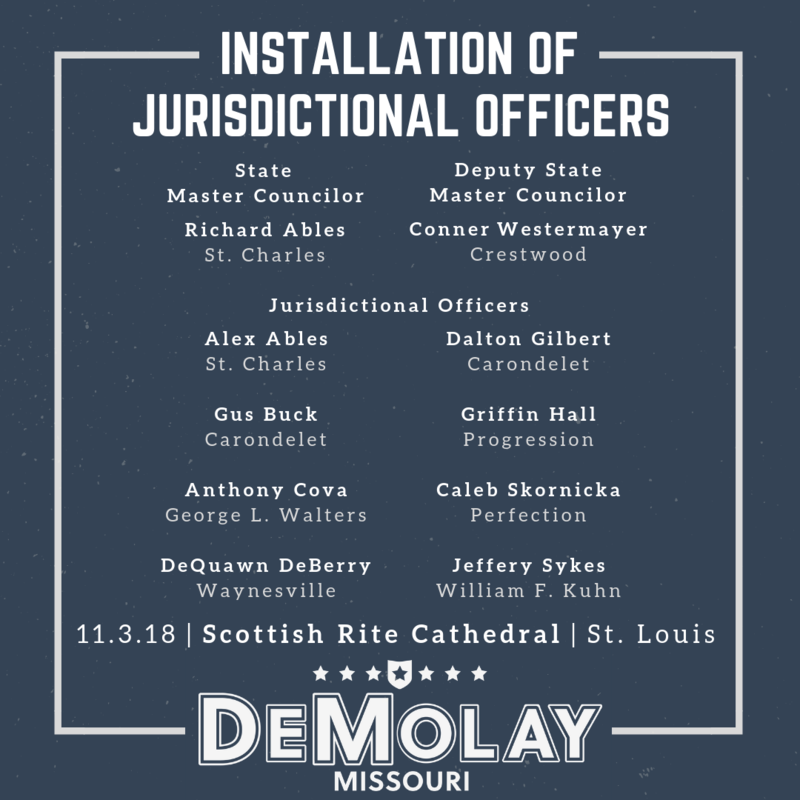 Congratulations to the newly selected 2018-2019 Jurisdictional Officers of Missouri DeMolay. Be sure to join us for the State Installation on Saturday, November 3, 2018 at the Scottish Rite Cathedral in St. Louis, Missouri. The Legion of Honor Investiture will begin at 5:00pm, followed by a dinner, and the Installation. We hope to see you there!